Shanghainese cuisine is characterised by delicate ingredients combined with prominent flavours such as vinegar and sugar. Soy sauce is liberally used in Shanghai and a technique known as ‘red cooking’ is popular – meat and vegetables are cooked slowly for a long time with soy sauce, rice wine, sugar and ginger root. Vinegar is also widely used, both as a flavouring ingredient as well as a dip. Special vinegars such as the Chinkiang black rice vinegar from Shanghai’s northern neighbour, Jiangsu province, are considered by many to be the best of its type. The tart and slightly sweet taste dominates many Shanghainese dishes and unlike its northern and western neighbors, spicy chillies rarely feature on the dining menu. A typical Shanghainese meal includes a large selection of cold appetisers that are often seasoned with a combination of sesame oil, garlic and vinegar. Popular cold dishes include finely diced vegetables and tofu, sesame oil and chilli-infused cucumbers and shredded chicken slices with sesame oil. An assortment of pickled vegetables is widely consumed and the most common condiments involve a combination of soy sauce, vinegar and ginger. Shanghai sits near the mouth of the Yangtze, China’s longest river which stretches along nine provinces and divides China into north and south. With milder weather and greater rainfall than the north, it enjoys a rice-based culture with an array of seafood, vegetables and fruits. The east coast’s historical prosperity led to a highly developed and refined food culture. Since the 1990s, the growing number of restaurants offering traditional, modern and fusion Shanghainese food has proliferated. One key aspect of the local dining culture is the snacks, or xiao chi. Popular throughout the day, snack foods, once eaten mainly in small backstreets, are now served in stylish restaurants specialising in a particular dish. 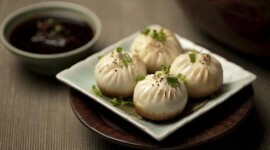 The small pork dumplings xiao long bao, are a favourite among the locals and famous throughout China. Other well known dumplings include shuijiao (boiled meat and vegetable dumplings) and shengjian (pan-fried meat dumplings) while popular snacks include fried onion cakes, beef soup noodles and chou (stinky) tofu. 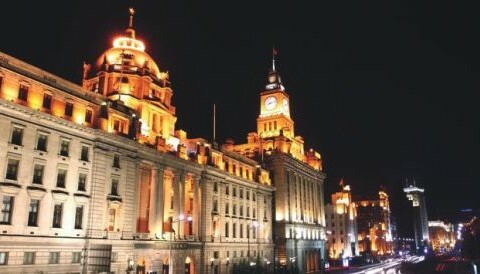 There are numerous food streets to explore in Shanghai such as Tongchuan Road and Wujiang Road.